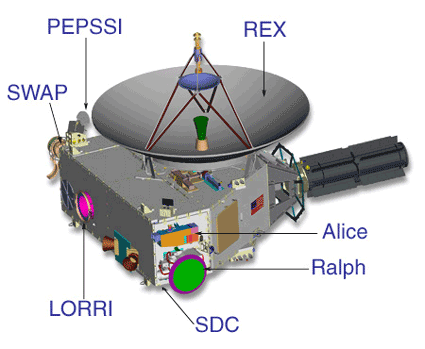 NASA’s New Horizons spacecraft is now less than one AU from Pluto and moving closer by 873,000 miles per day. This week it made a slight course correction to ensure it is able to complete the scientific objectives as it flies past the planet in July. Launched in Jan 2006 the spacecraft has traveled past Jupiter on its way to the dwarf planet and will be the second NASA spacecraft this year to explore one this year. As it continues to get closer the quality of the images that are returned will improve as we for the first time get to see detailed images of the planet. Due to its speed the spacecraft will not be able to orbit the planet so all the experiments must be performed as the vehicle passes at more then 33,000 mph. Once it has completed its observations a second destination will then be targeted somewhere in the Kuiper belt, the region of surrounding our solar system far beyond the known planets. However while it is traveling to that destination it will spend most of 2016 transmitting all the data that was gathered during the flyby.